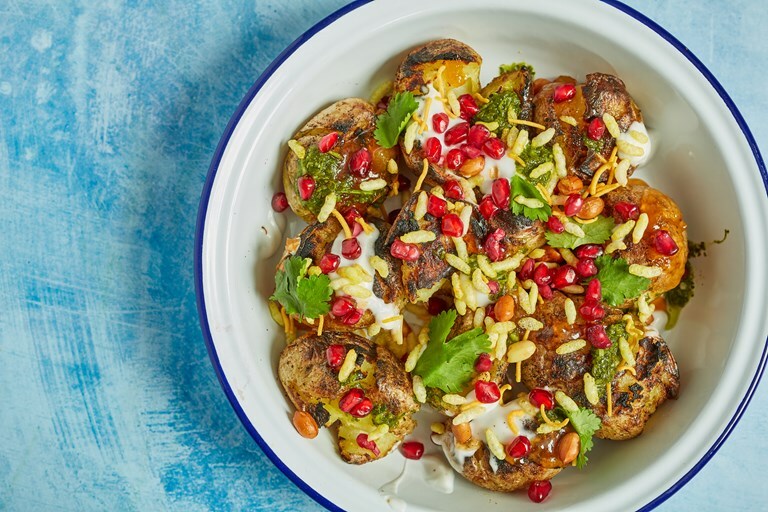 This barbecued potato recipe is a cacophony of flavour and colour, combining smoky charred potatoes with a fresh green chutney, Indian spices, juicy pomegranate seeds and crunchy sev mamra. A wonderful vegan side or main to make when the sun's shining. 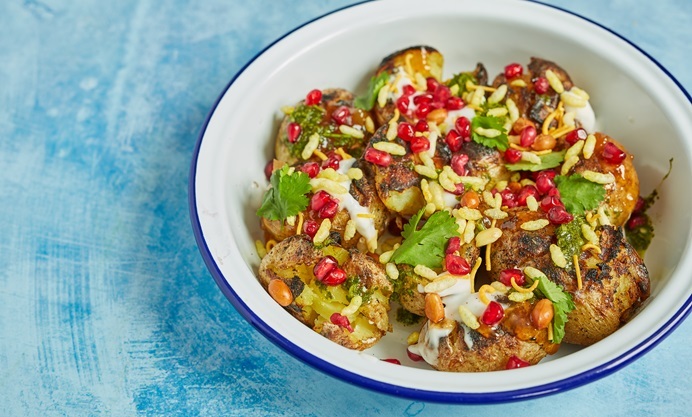 This vibrant Indian potato dish is an absolute flavour explosion; smoky potatoes, zingy coriander, creamy yoghurt and sweet, fruity mango chutney. Topped with beautiful pomegranate seeds and crunchy puffed rice, it's got its fair share of contrasting textures going on in there too. 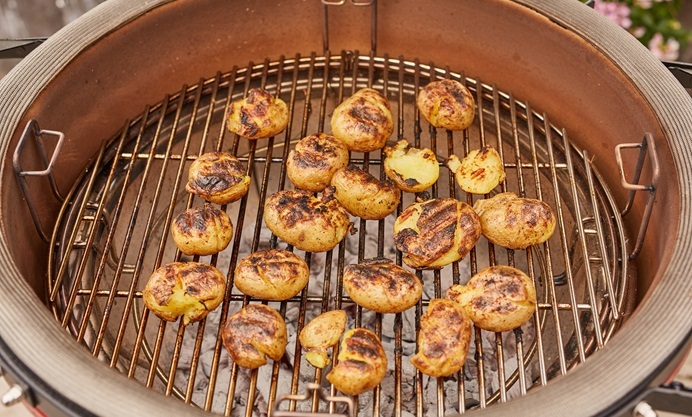 The dish can be served warm or at room temperature, making it a perfect barbecue side. Here we have used a dairy-free coconut yoghurt to make the dish completely vegan. Chaat masala is a zingy spice blend often used to top dhals or salads. Consisting of coriander, cumin, amchur (dried mango powder) and chilli, it is available from Asian supermarkets or can be easily made fresh at home by toasting then blending the seeds. Sev mamra is a popular Indian snack made up of puffed rice, peanuts and sev, which is a deep-fried chickpea flour noodle. You can find it in Asian supermarkets, or it is similar to bombay mix which could be used as a replacement.